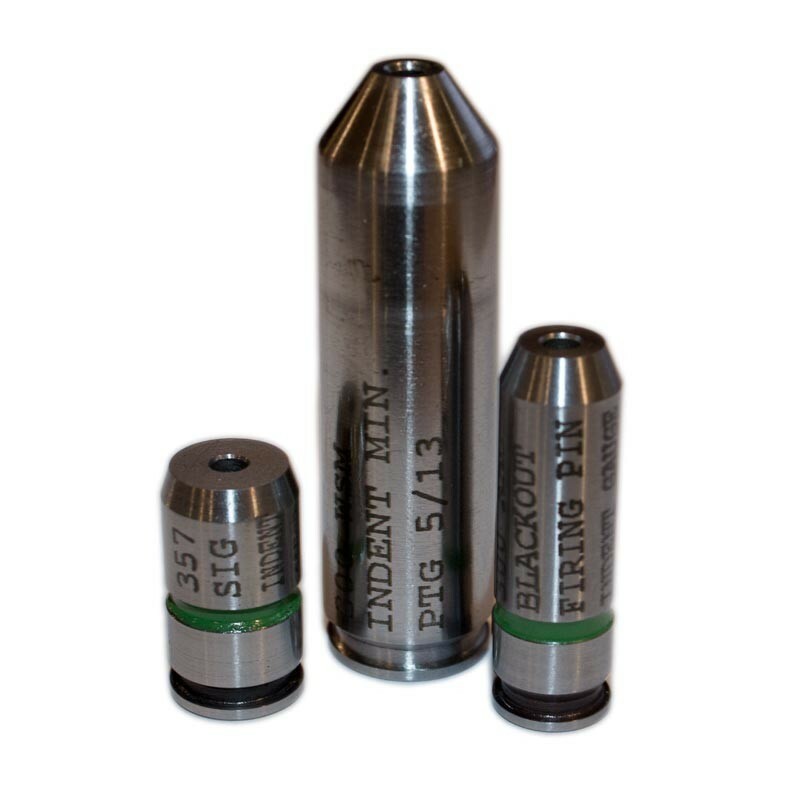 These PTG Firing Pin Indent Gauges are made to minimum chamber specs and are used for checking firing pin protrusion into primer. Insert is measured before and after striking. Insert bore dimensions are 0.227” x 0.400” +0.001” Gauges are sold without a .225 copper crusher insert (see below). May also be used as a GO Headspace Gauge.